We are currently seeking partnerships with organisations that would like to align their profile with ANZAED activities, which include the Annual Conference, Autumn Workshop Series, online professional development and training events, as well as Member services. Partnerships may take the form of one-off donations or a presence in our professional development activity spaces. Sponsors and partners for our annual conferences: Our annual conferences attract 300-500 delegates from a diverse range of professions including Psychiatrists, General Medical Practitioners (GPs), Psychologists, Nurses, Social Workers, Dietitians, Occupational Therapists, researchers and other related professionals from Australia and New Zealand to participate in lectures, workshops and debates led by international and local experts in eating disorders treatment and research.. Sponsorship opportunities for our annual conferences include Diamond, Gold & Silver Partnership options, table displays, university partners, satchel and program advertisements and more. Annual and special event partners: ANZAED hosts regular workshops and online training throughout the year. A range of flexible sponsorship opportunities are available for these events. Business partners: organisations seeking to offer discounted services to our members and organisational staff in exchange for business promotion are welcome to contact ANZAED to discuss such opportunities. ANZAED offers sponsors a unique platform to interact with a captive audience of delegates from organisations across the Health and Education sectors. Excellent networking opportunities during the Conference and events to promote your products and services to a relevant audience. An opportunity to utilise Conferences to showcase your organisation’s position of support for the industry. Please Note: AUSTRALIA & NEW ZEALAND ACADEMY FOR EATING DISORDERS INC is endorsed as a Deductible Gift Recipient (DGR) (covered by Item 1 of the table in section 30-15 of the Income Tax Assessment Act 1997). 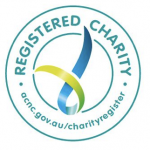 ANZAED is registered with the Australian Charities and Not-for-profits Commission (ACNC) and is a Health Promotion Charity. See our current Conference Prospectus and Information Form for more details.